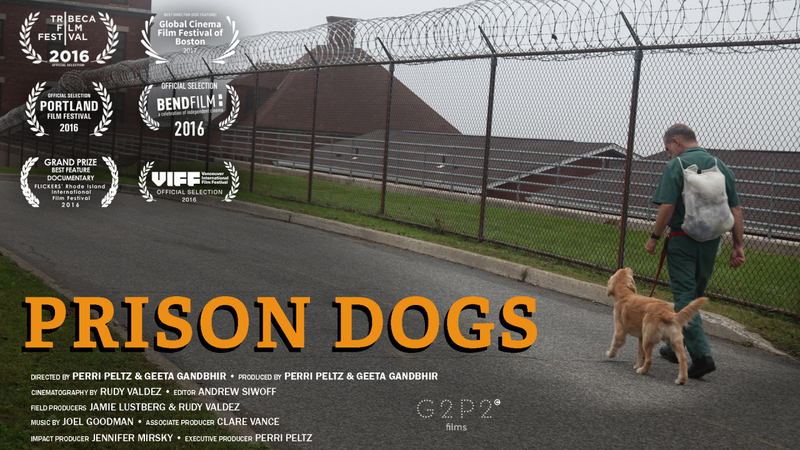 Incarcerated for murder and armed robbery, New York criminals learn to love again by raising puppies behind bars. In this inspirational tale, three selected prisoners battle self-doubt, anger and regret in their attempt to transform dependent pups into service dogs for injured US veterans. Bound together by fate, this uniquely vulnerable trio of puppy, prisoner and veteran come to discover the redemptive power of second chances. "The day that my crime occurred, it was a street beef, I felt threatened, and ultimately just pulled out a gun and​ ​shot a kid", says inmate​ Luis Diaz. "I really hate the person who I was then. I'm looking for forgiveness. This puppy, this is gonna be my second chance". 'Puppies Behind Bars' is a unique program that teaches select prisoners how to train puppies to become service dogs​ for war ​veterans suffering from PTSD. For Luis and his other cellmates, it's a way to atone for their past crimes. "I was thinking somebody's after me, you know? I'm back in Afghanistan. And I'm gonna kill somebody​​". ​ A​ veteran, Mark Beam, recalls the day he suffered a nervous breakdown due to the devastating effects of PTSD​, injuring himself in the process.​ "I came around and saw all the blood and I thought, "What have I done?" I didn't know I had it in me". Rehabilitation for veterans like these is at the heart 'Puppies Behind Bars' and the stakes couldn't be higher for everyone involved. The inmates, all guilty of violent crimes, simply must succeed. There to keep the these hardened criminals under control is Gloria Gilbert Stoga, the strict leader of the program. "I have to be tough, 'cause we're working with a tough population. We're not working with a bunch of nuns or grandmothers". Gloria, through her tough methods, quickly asserts her command and gains the respect of the prisoners. "When she lights that fire, when she gets to that boiling point, you don't want to be a target in her radar", jokes one of the inmates. Unlikely friendships are forged throughout th​e gruelling project, and whilst the prisoners gain something priceless, they must also learn to accept loss. "I will forever treasure every memory that we created throughout our journey, and I shall always love you", Luis Diaz says as he tearfully says goodbye to his fully trained dog. Mark Beam, now partnered with his four-legged friend, can now look forward to a new future. "I can never, ever, ever repay you for what you've done". ​This moving documentary shows that forgiveness and new beginnings can come from the most remarkable of places. 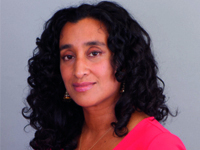 Director/Producer/Editor Geeta Gandbhir has been nominated for three Emmy Awards and has won two. As editor, films have been nominated twice for the Academy Award, winning once, and have also won three Peabody Awards. Notable works include, "A Journey of A Thousand Miles: Peacekeepers", "Remembering the Artist, Robert De Niro, Sr. with Perri Peltz for HBO, Mr. Dynamite: The Rise of James Brown," "Whoopi Goldberg Presents Moms Mabley" for HBO, which was nominated for an Emmy, "When the Levees Broke," "By the People: The Election of Barack Obama", "If God Is Willing and Da Creek Don't Rise," and "God is the Bigger Elvis" which was nominated for the 2012 Academy Awards. Her film, Which Way is the Front Line From Here? with author and Academy Award nominated director Sebastian Junger was nominated for the 2014 News and Doc Emmys. Director/Producer Perri Peltz is a distinguished journalist and public health advocate. She is currently co-directing and co-producing a "Conversation" series on race with The New York Times Op-Docs with Geeta Gandbhir. She co-directed and co-produced the documentaries, "Remembering the Artist Robert De Niro, Sr." (Sundance Film Festival; HBO) and The Education of Dee Dee Ricks (HBO). Perri executive produced A Journey of a Thousand Miles: Peacekeepers, which premiered at the 2015 Toronto International Film Festival. Perri hosts two radio shows on the SiriusXM Network: The Perri Peltz Show and "Doctor Radio Reports. Her earlier work as a television news journalist includes serving as a reporter and anchor for WNBC, a contributor for NBCs Dateline, an anchor at MSNBC, a news correspondent for ABCs 20/20, and an anchor for CNN.